Home › Blog › Is it worth studying in London? Is it worth studying in London? Choosing the appropriate university represents a very important decision. It will mark your future and establish what type of life you will lead as an adult, including your annual income, work schedule, job category, benefits, and many others. 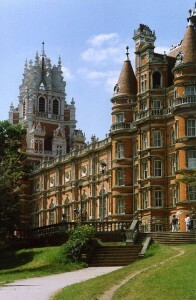 London is not only filled with means of entertainment, but also with numerous top universities. More than 100.000 international students choose the capital city of England, turning it into the number one international student city in the world. 247 Gatwick Airport Transfer has prepared some pieces of advice that will help you choose an institution of higher education, apply for it and select suitable courses. Figuring out the subject you want to study is the first step to a good future. It will also help you reduce the number of universities in London to a minimum. Make sure to do a thorough research regarding their reputation, location, campus and tuition fees. Take these criteria very seriously, as you do not want to encounter any unpleasant situations during your 3 year period of study. If you are still not sure about the subject, there are two solutions. First of all, you can scroll the best universities’ profiles. Top five institutions in London in 2014 have been the following: London School of Economics, Imperial College London, University College London , King’s College London, and SOAS. The second solution implies browsing among the available courses. You did definitely not know about BA Animation, BA Viking Studies and BA Arabic and Persian until now. Another important aspect about the university is the tuition fee. As we all know, London has pretty expensive fees. There are online calculators that can show you the plan for your student loan repayment, according to the annual tuition, length of course, career and other important categories. The medium loan for a top university in London is around £40.000 and if you want to repay it in 25 years, the total sum will be around £56.000. This is why 247 Gatwick Airport Transfer underlines the importance of a wise choice. Your selected institution will cost much and you need to make sure that your future career will allow you to pay back the whole sum. If you are a Londoner, then you might consider studying abroad. There are many students who make this decision due to the increased tuition fees in the United Kingdom. Certain international rankings can help you find out about the best institutions in the world. For the greatest results, you can try the following three statistics: Academic Ranking of World Universities, Times Higher Education (THE) World University Rankings and QS World University Rankings. We hope you will find these details useful and have a bright future ahead of you.